Any kind of game you'd like to play. Ask here. Someone will suggest something just for you! A place for discussions, suggestions, questions, and troubleshooting about this wiki. I'm always bad with introductions. How about you? Help make this place better! 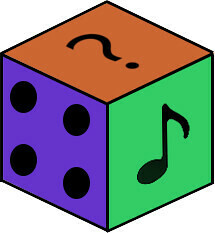 Share your amazing ideas that can be added to Games for Music Wiki! Have a problem? Can't figure something out? Don't know how things work? Not yet music games but after some discussion, maybe we can develop another insightful article. Mind, board, children, hunger... you name it. Maybe it can be adapted to music?